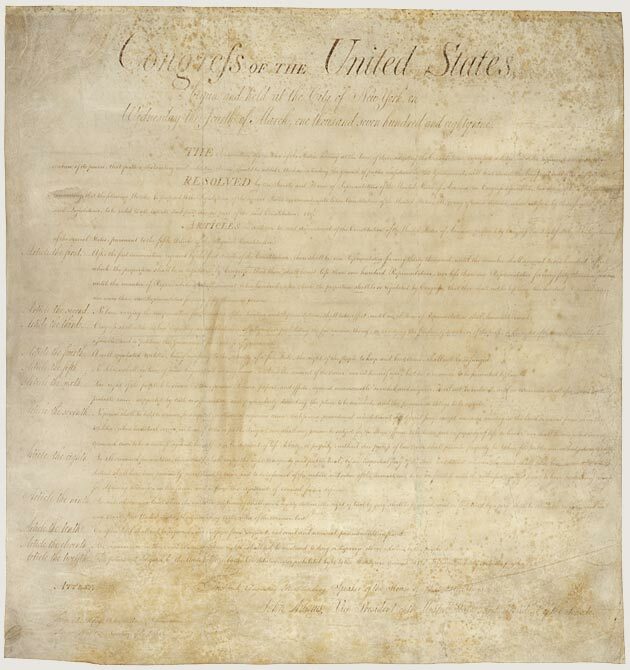 For all of us Americans, tomorrow is Independence Day, aka, the Fourth of July ~ a national holiday celebrating the anniversary of the adoption of the Declaration of Independence in 1776. We have come to celebrate this day by displaying our pride in showcasing our American flags in the front yard, oohing and awing at an amazing fireworks show, sizzling hot dogs and hamburgers on the BBQ, watching children running around with glowing sparklers and donning our red, white and blue in every which way possible. A fun and patriotic day without a doubt! 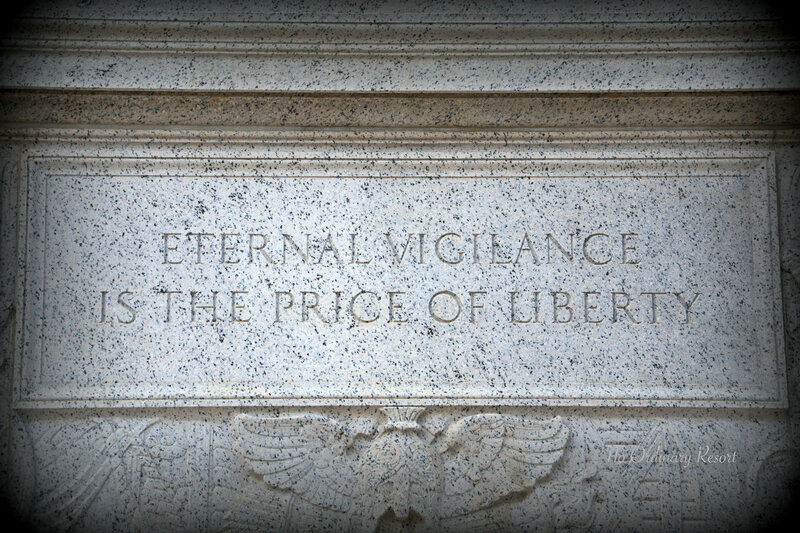 So this is where I would normally post a picture of an American flag waving in the wind or some beautiful image of fireworks bursting in air but having visited our Nation’s Capital this last fall, and being reminded of our Founding Father’s contributions toward our freedoms, I thought I would take a different route this year. 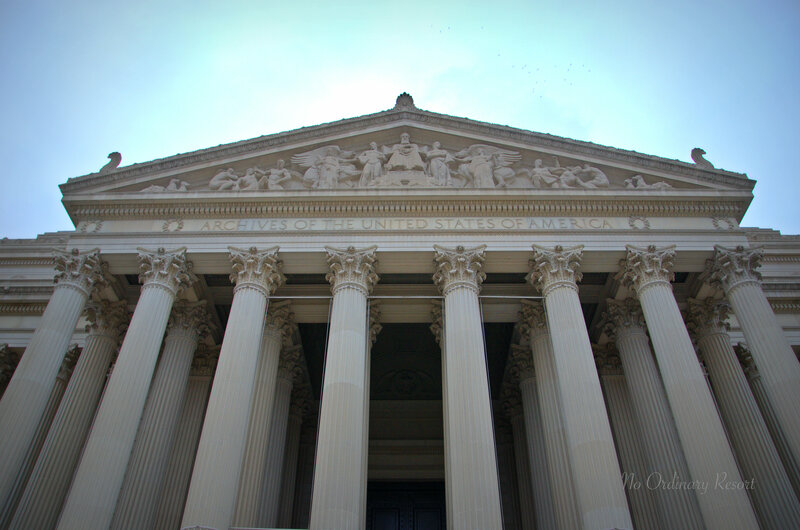 One of my sight-seeing pitstops while in Washington, DC was the National Archives and Records Admnistration building. 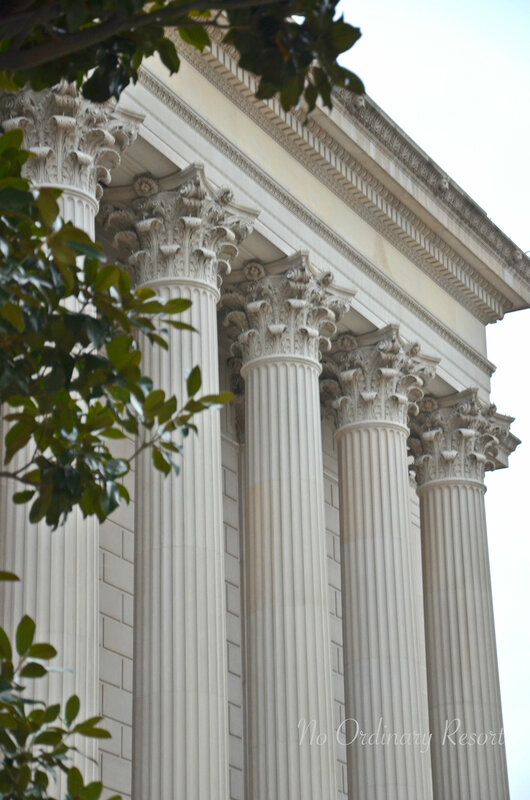 Not only is the exterior of this building a stunning example of neoclassical architecture but it happens to house almost every priceless document imaginable throughout our Nation’s history. 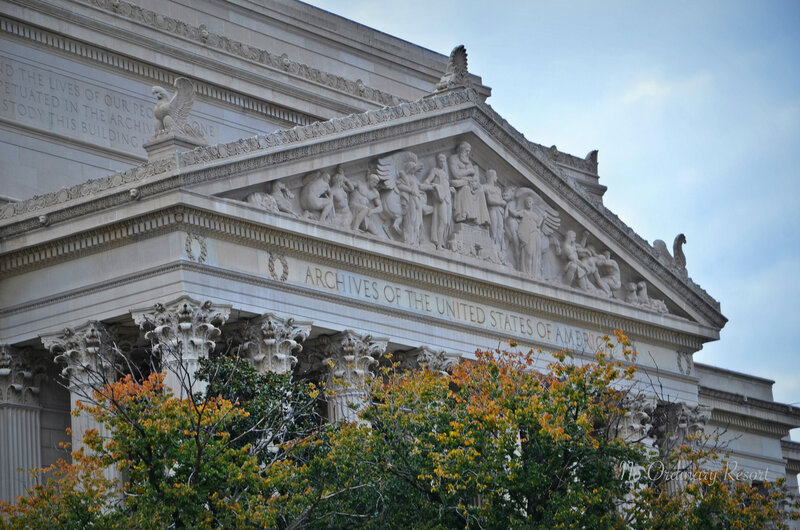 The images above are of the original documents, which are unbelievably still in existence. 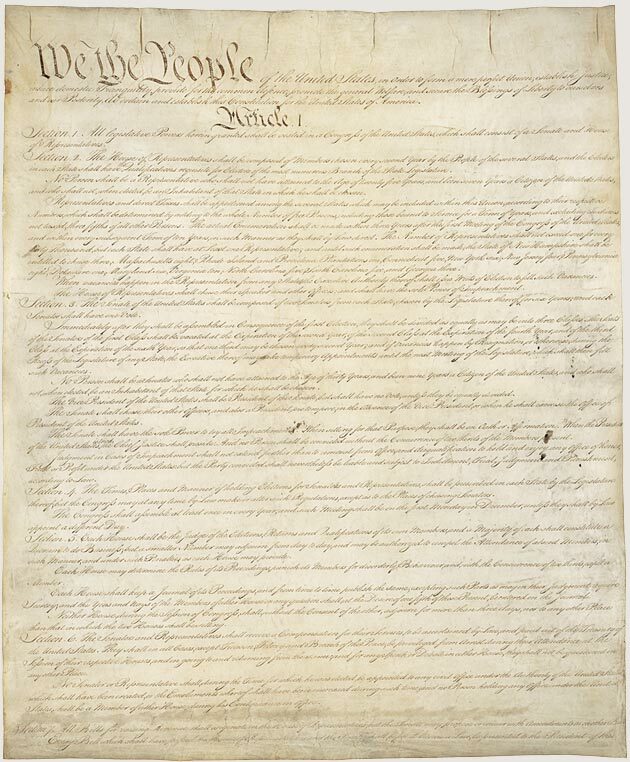 The significance of these documents is astounding as they are the foundation of what we are built on as a Nation. 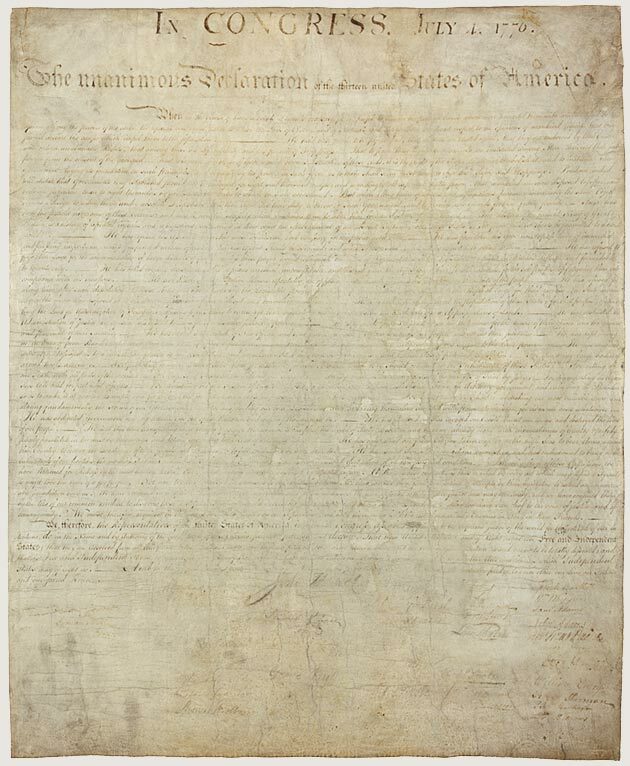 The fact that you can still make out the signatures of such men as John Hancock, Benjamin Franklin, Samuel Adams and Thomas Jefferson is mind-blowing and I salute the men and women who are not only currently still fighting for our freedoms but also the ones who are dedicated to preserving our history. 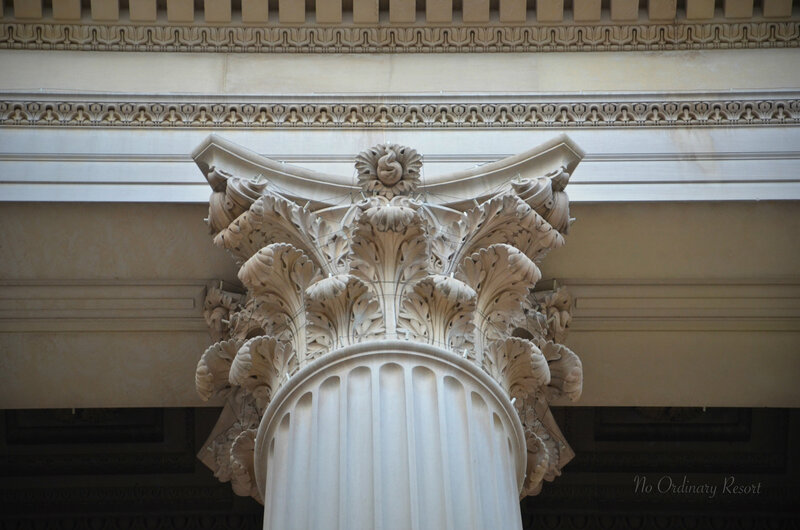 Since there are strict restrictions on what you can photograph inside this building, I thought I would share some images of the stunning exterior architecture. So having honored the meaning of Independence Day, I’m off to BBQ and Oakland A’s baseball game with a fireworks show tonight, donning my best Red, White and Blue with my flag proudly flying in front of my house! Thanks Rob! The 4th is always a fun celebration. Thanks Renee ~ you as well! I’ll be celebrating a 19th Century 4th of July, marching with sister suffragettes and singing Temperance anthems while wearing a corset & bustle…and getting paid a little, too! Homemade ice cream and lemonade, a greased pole climb, a brass band and games to boot! Hurray for history! Sounds like a lot of fun Priscilla ~ have a wonderful 4th!